The Jenni Kayne sample sale is coming! 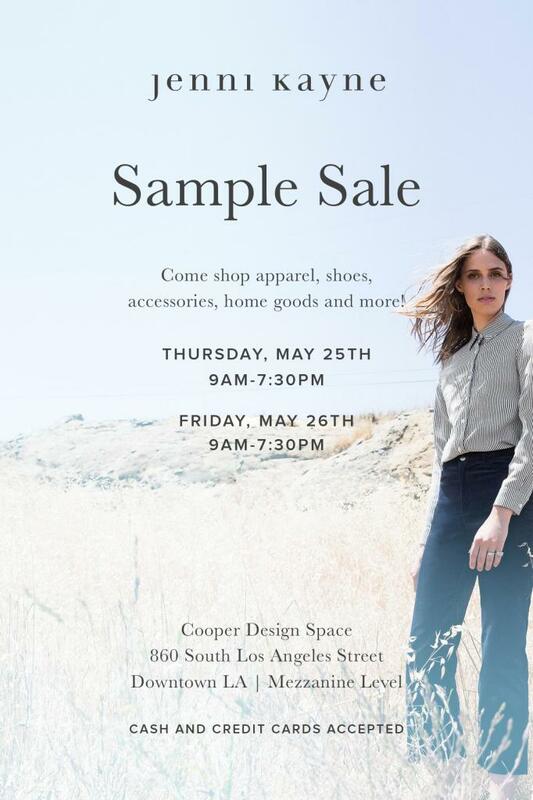 Get yourself to the Cooper Design Space in DTLA on May 25th and 26th for their two day Memorial Day event, and shop apparel, shoes, accessories, home goods and more at a discount! Cash and cards accepted.